1. Place the drained macadamias in blender and add water or coconut water. The same volume of water as macadamias – 100ml – will give a pourable cream with a consistency similar to double cream. For a thicker cream, use only 50ml of water. 2. Blend until smooth, adding additional water in tiny increments, if necessary in order to get the cream to blend smooth. 3. Add vanilla powder, or contents of vanilla pod, and blend again. 4. Taste. If you would like a sweeter cream, add a teaspoon of maple syrup and briefly blend. 5. Serve cream over fresh fruit or the dessert of your choice. 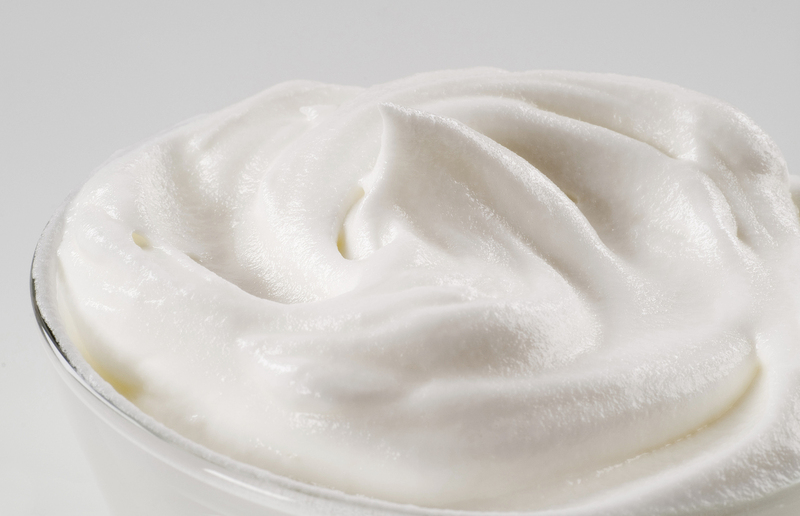 Put any leftover cream in an airtight container in the fridge, where it will keep for two days. The most challenging part of this recipe is remembering to immerse the macadamia nuts in water (ideally) 8 hours before you want to make it. Once that’s done, it takes under a minute to whizz up this dreamy creamy goodness.